A book review by Heloise AJ. The Hate You Give by Angie Thomas was published February 28th in 2017 and is already an enormous success having already won 3 goodreads awards. 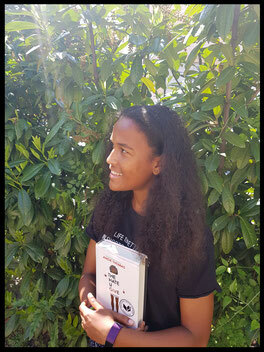 This book is about a black teenage girl whose best friend has been shot by a white policeman and has died. Throughout the book Starr (main character) fights for her friend and justice as people fight back, trying to justify the policeman’s actions. This incredible story makes you aware of the problems of racism in the world and in the US. A story like this is a great way to raise awareness. Angie Thomas brings social media, television and other networks into this story to add to the connection between Starr and the readers who are primarily teenagers. By doing this she makes adolescents realise how real this story could be and encourages them to also speak out and defend people because that is the only way to overcome racism. The author’s writing technique is wonderful and portrays the main character’s story to the point that it feels like you are reading her diary. 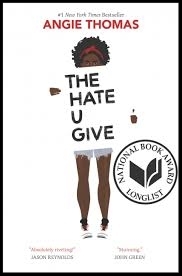 Angie Thomas manages to show the readers the troubles that her character had gone through and though she is not a teenager the connection between the character and the reader seems very personal. The Hate you give is an amazing book full of emotions and though fictional transmitting an unfortunately recurring event. It is a story about justice, fighting and strength. The story is set in present day and involves the problems that we find in present day. I highly recommend this book to anyone who is interested in realistic stories. It is written extremely well and has an amazing sense of reality. This book definitely helped me be more aware of the racism problems there are in the world we live in and that there are things we can do about it.